MBOX Converter supports MBOX file that is compatible with 17+ email clients like Thunderbird, Eudora, Mac Mail, Opera Mail, Entourage, Apple Mail, The Bat, Spicebird, Turnpike, Earth Link, Berkeley Mail, MailCopa, Netscape, Pocomail, Chaos Intellect, etc. Advance search capability that helps you to search within all the MBOX emails listed. This will help you to save a ton of time. 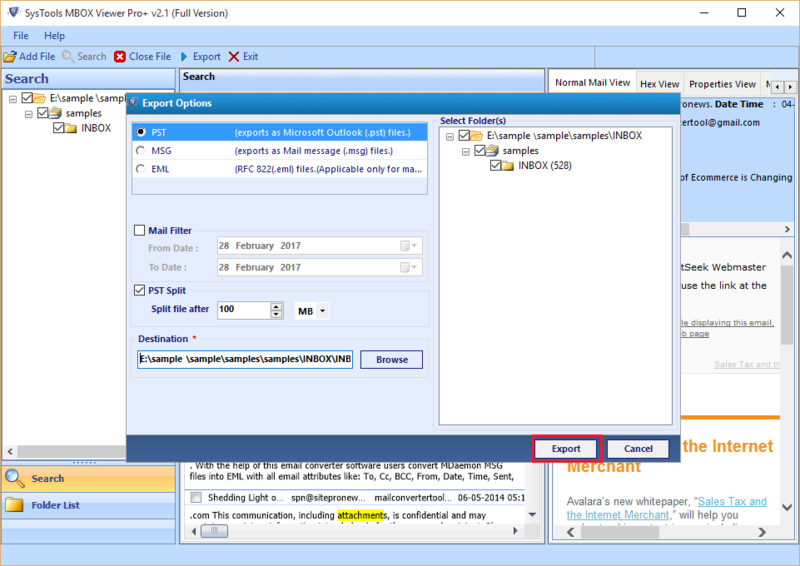 Multiple views: This helps you to deeply search and analysis the MBOX emails by checking their Hex value or the header information among other critical information. Advance PDF setting: At the time of converting your MBOX emails to PDF, you can customize them as well by setting their alignment or other properties. Selective Export: While exporting the files, you can select the folder from the list available. So, if you want to convert only specific folder, then also, you can check it and the selected folder will be converted into the format that you have chosen. Save yourself from the scanning process time with the save scan state feature of MBOX File Converter Tool that allows you to bypass the scanning process the next time you run the same MBOX files. The MBOX Converter application comes very handy for doing an in-depth analysis of each and every MBOX file. Now, no information will ever remain hidden from you. The application gives you all the meta, hex or attachment that you needed. 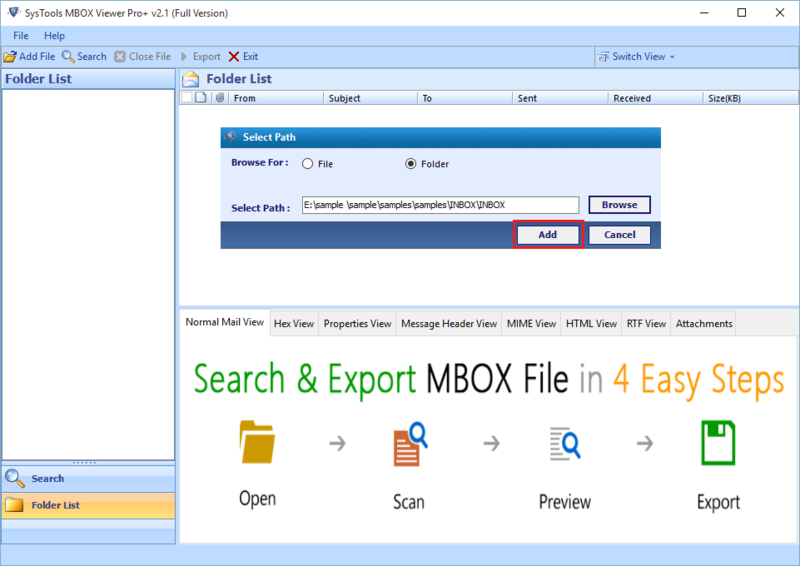 The search feature in MBOX File Converter allows you to search thoroughly from the MBOX file so that you can analyze the file in great details. 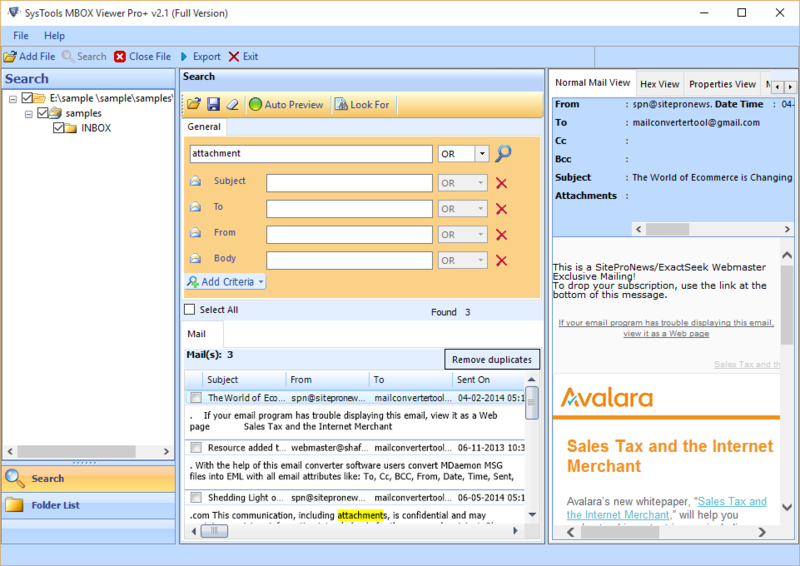 Perform the scan operation to get the filtered and relevant result for all your MBOX emails. Using the Pro Plus version of MBOX File Converter Tool, it gives you the ability to provide the standard naming convention for all your converted MBOX files. The software also gives the filter down feature to export data from the selected date range. So, if you want to convert the MBOX file from any specific time duration, you can do that using the MBOX Converter Tool. Now, you don't need Adobe Acrobat to make changes to the PDF file. With the help of MBOX Email Converter software, you can simply select the advance PDF Export option that will give you the ability to modify the structural layout of the PDF file. This gives your email a more professional look. PDF Margin: Set top, left, bottom, and right margin of the pdf document as required by the company's standard. Paper size: Set paper size to Letter, legal, A4, envelope and many other formats easily. The MBOX File Converter Tool allows you to migrate your MBOX emails to PST file format. 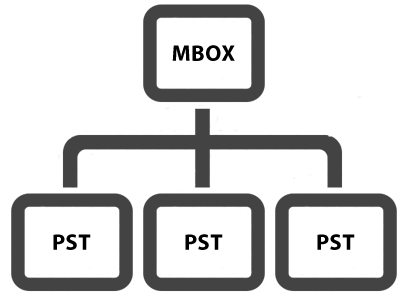 If you want the PST format of a specific size, then also you can do use the PST Split option to break the large file into smaller size as desired. Split the MBOX file into manageable chunks. The technician now no longer needs to have different applications to manage MBOX file that originates from different MBOX compatible application. All or selective export that gives you liberty to only export files or emails that you wish to retain in other format and discard the rest. Once you scan the MBOX file, you don't have to repeat the scanning process back again. Instead, MBOX Email Extractor will directly show you the email content within that file. This process helps in saving ample time when the MBOX file size is very large. 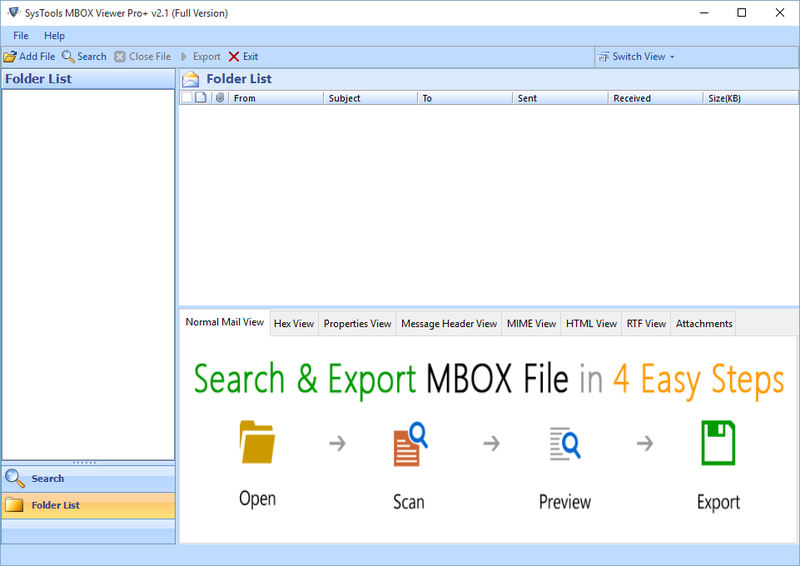 The Demo version of MBOX Converter Tool shows only preview of emails along with attachments within MBOX file. Explain the working of MBOX File Converter Tool? Step 1: Install & run MBOX Converter Tool. Step 2: Browse MBOX file and add to the software. Step 3: The tool will scan the added file and shows the preview of the index on left and data content on the right side of the window. Step 4: Now, one can view the data contents in various View modes like Hex, RTF, Normal Mail, Attachments View, etc. Step 5: There is an Advance Search option to find anything specific from the mailbox file. Step 6: Now, you can select to export to desired file format and then, by clicking on Export button, you can save the output files in the destination location. What is MBOX Migrator software? MBOX Converter is the extension of the original MBOX Pro tool. But, it was limited to only PDF conversion of the email. Now, you have the ability to convert those MBOX emails in other file formats as well. Will it work on Windows 8? The MBOX File Converter is designed to work on all major OS released by the Microsoft Inc. So, you will be able to run the software on Windows XP, Vista, Windows 7 and to the current Windows 8, 10. "The MBOX File Converter tool has made the life simple as we don't have to manage the MBOX files via different applications as it has made the all conversion process so simplified"
"Highly recommended MBOX Email Extractor to anyone (especially administrators) who wants a solution that can take care of the MBOX files in a defined and organized way." "MBOX Converter allows me to convert all the data contents from MBOX file to various file formats. Now, I am able to access my emails not only on Thunderbird but also in Outlook." 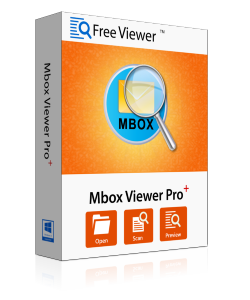 "With the help of FreeViewer MBOX Email Converter tool, I was able to complete my task of converting individual emails from MBOX file to EML & PDF format. I am very happy with this tool and recommend same for all."